Christmas is fast approaching, i usually never feel this excited for Christmas so early on but i think everyone has got into Christmas spirit really early this year. There was so many people who posted pictures of their trees over the weekend and i have no tree and no decorations. I am unsure to decorate the house or not as i live in a shared house but i think it will be a shame not too really! I think i am more excited this year because i will spending allot of time at home with the family. I do go home a fair bit but it's more of a flying visit and i'm always thinking that i am going to go home the next day for work. So intend to make the most of my Christmas holidays as i have not had any time off since July so i need a week of Christmas films, snuggles of the cats and lots of eating. I enjoy the lead up to Christmas more than actual day. Christmas eve is when i sit and wrap all of my presents, it really annoys my sister as she likes to be really organised. Then we have a few drinks and all go to bed early so Christmas day comes even quicker! I remember when i was younger me and my sister used to wake up at 5am and force ourselves to stay in bed but last year i wanted a lie in and refused to get out bed until at least 9am. When i was woken up by the cats who wanted feeding. 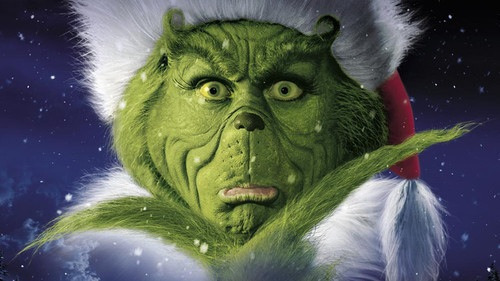 So are you refusing to embrace the Christmas spirit like the Grinch or have you started already? I love the elf gif you used!